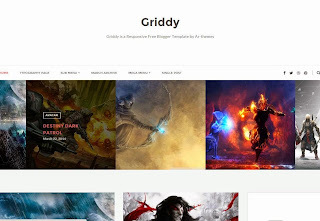 Griddy is a responsive free blogger template by Ar-themes. SEO optimized. Support all browsers including IE, Firefox, Google Chrome, Opera and Safari. 2 Columns. Grid gallery enhanced style with responsive carousel. Enhanced pages with special typographic style.